This week&apos;s episode of Impact Wrestling will air from tape as it was filmed last month from the Manhattan Center’s Grand Ballroom in New York, New York. You can read taping results at this link. IMPACT Preview: New #1 Contender, Knockouts Title Match, 6 Man X Division Match and much more! NASHVILLE, Tenn. (September 2, 2014) This Wednesday night on IMPACT WRESTLING, a new #1 Contender for the TNA World Heavyweight Title is decided! After weeks of controversy over who won the Six-Sides of Steel Cage match, it comes down to one match to determine the next man to face Lashley for the TNA World Heavyweight Title. Two best friends will battle as Bobby Roode takes on Eric Young! The Knockouts gold will be on the line on IMPACT as well! It&apos;s the most intense rivalry in the Knockouts Division as Champion Gail Kim defends against Taryn Terell in the rubber match of their epic series. And on Wednesday night, Kurt Angle has demanded there must be a winner! Who will walk away as the greatest KO in the world today? TNA World Champion Lashley has been dominant and taking on all challengers. But the champion is getting restless and wants more competition. We understand this Wednesday, Lashley is daring anyone to step up and face "The Destroyer." Who will dare step in the ring with the seemingly unbeatable World Champion Lashley? The stars of the X Division will be in action as well. One match full of high-flying action where the winner will be the #1 Contender for Samoa Joe¹s X Division Championship goes down this Wednesday as Low-Ki battles Homicide, Manik, DJZ, Tigre Uno, and Crazzy Steve and only one will advance to the X Division title match! 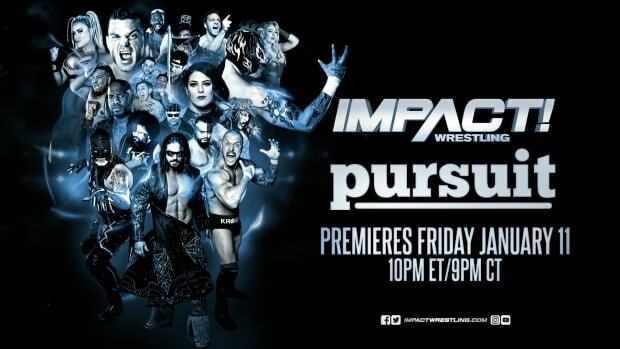 All this and so much more this Wednesday when IMPACT airs on Spike TV at 9/8c! For more information on this Thursday’s IMPACT WRESTLING, visit impactwrestling.com. Make sure to join our Impact "Open Thread" beginning at 8:30 PM EDT on Wednesday night here at WrestlingNewsWorld.com for streaming live results and your discussion.